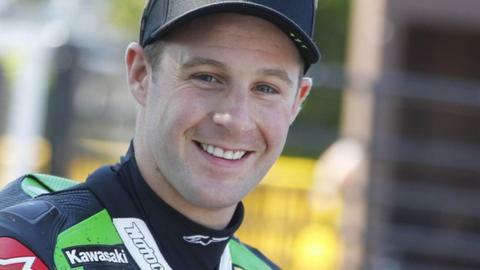 World Superbike champion Jonathan Rea secured another podium finish with third in Sunday's race in Malaysia. Nicky Hayden of the United States won the second of the weekend's two races at a wet Sepang circuit, ahead of runner-up Davide Giugliano. Chaz Davies of Wales finished fourth and is now 42 points behind Northern Irishman Rea, the only rider to be on the podium in all 12 races on 2016. England's Tom Sykes, third in the title standings, came in eighth on Sunday. It was a maiden World Superbikes win on Sunday for Hayden, with the rookie American winning out in rain-swept conditions. Giugliano mounted a late charge to steal a second-place finish, but Rae's solid weekend work kept him top of the series. Rea's profitable weekend comes off the back of signing a two-year contract extension with Kawasaki on Thursday. In Saturday's race, Yorkshireman Sykes had beaten Rea to the flag by more than five seconds.